Tate & Lyle is offering ingredients solutions in an array of product categories, including drinks, condiments and dairy, specifically targeting the Middle East. The company is showcasing its tailored ranges and helping manufacturers seeking solutions for sugar or calorie reduction, specific texture profiles or enriching products with fiber while reducing cost. According to the company, Tate & Lyle has an extensive ingredient portfolio, application and technical expertise, and knowledge of the latest trends to help manufacturers create good and healthy food and beverage products. With healthy living a key priority, sugar reduction and fiber enrichment are high on the agenda for many manufacturers. At this year’s Gulfood Manufacturing Trade Show (6-8 November 2018), Tate & Lyle were demonstrating the benefits of their holistic ingredients solutions portfolio. 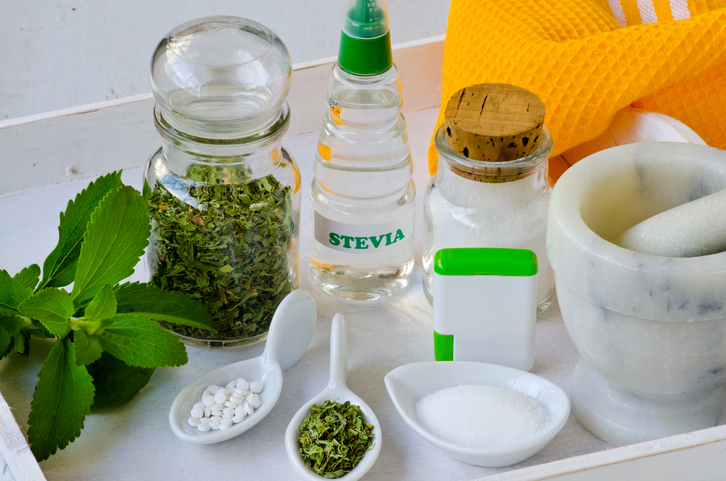 Tate & Lyle and Sweet Green Fields’ partnership in innovative stevia ingredients and solutions will exhibit the ways food and beverage manufacturers can reduce sugar levels in a range of products using the OPTIMIZER Stevia range. “It’s important to follow the market trends and one key thing that we are seeing is an increasing need for sugar reduction across different product categories. There is also a global need and desire for tasty food and ingredients,” he adds. At the Gulfood Manufacturing Trade Show in Dubai, Tate and Lyle showcased both new stevia ingredients. This includes the newly launched OPTIMIZER Stevia 4.10 and INTESSE Stevia 2.0, the next steps in Tate & Lyle’s portfolio of sugar replacement solutions. The Tate & Lyle product line up featured a range of beverages, including a lychee juice drink containing OPTIMIZER Stevia 4.10, which delivers a high purity at a lower cost. “We have been showcasing these two new products and the response has been very positive. Our OPTIMIZER Stevia 4.10 is a 4th generation product and science technologies have given improved abilities to replace sugar without a negative taste impact,” he notes. The second product we are presenting is INTESSE Stevia 2.0, which is a very premium-based product. It’s a high-end sugar replacement product and with this new innovation we have the same potential to replace sugar, based on the premium technology and we can offer opportunities to make significant cost-savings,” Husum reveals. “Sugar is often seen as the ‘bad guy’ in the food and beverage industry, there is now a more significant awareness and a trust in natural sweeteners, which goes across the board,” comments Rami Al Jammal – Regional Sales Manager – Middle East. “Diabetes and obesity are critical areas for concern for many Middle Eastern consumers, it’s a global concern, but we do see this to be a growing issue, spurring the need for more natural sweeteners,” he notes. “The interest is all about being as natural as possible and that calls for newly improved stevia solutions. As an industry, we are gradually getting to a point where producers and consumers understand that stevia five years ago, is very different to what stevia is today,” Jammal concludes.